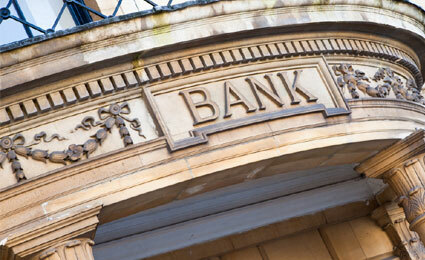 Security has long been the primary focus of management at banks. But security aside, banks are also looking for ways to reach out to more potential customers and get business from them. Intelligent video offers a solution for both objectives: modern video analytics helps banks fight crimes more easily, at the same time enabling them to identify who their potential customers are and how to get to them. No other verticals need surveillance more than banks, which process a humongous amount of money daily and are constantly faced with the need to secure themselves against robberies and fraudsters who steal money with more complex schemes. In fact, fraud has become quite costly for banks around the world. According to the European ATM Security Team, total ATM-related fraud incidents increased from 20,244 in 2011 to 22,450 in 2012, and losses resulting from these incidents rose by 13% from US$318.2 million to $360.4 million. As for the U.S., the Secret Service reports $8.5 billion is lost annually through credit card fraud schemes, including ATM skimming. Fraudulent activities are indeed issues that banks have to deal with on a regular basis. Skimming, or the capturing of users' bank card and PIN numbers via skimming devices and pinhole cameras strategically installed on ATMs, is quite rampant. "Catch Me If You Can" type of deals, where fraudsters cash fake checks at different bank branches, also happens from time to time. While banks have been using video surveillance for quite a while, traditional technologies only offer a reactive solution — investigating events after they happen. But now, with more intelligence in video solutions, banks can take a more proactive approach for crime detection and prevention. For example, through VCA, or analytics, bank security personnel can detect loitering, objects left behind in a facility, unauthorized personnel entry, ATM skimming, and other security breaches and do something about it. “Banks are becoming more aware of these benefits. Security directors and other stakeholders are exploring how they can leverage these benefits to other departments and users within their organization,” said Jim Moran, Product Management Director of Intelligent DVRs at Verint Systems. As fraudulent transactions at ATMs happen frequently, VCA solutions are available to help banks deal with them. For example, someone loitering at the ATM area but not making any transactions may be up to something, for instance trying to pull a skimming scheme. An alarm would then be sent to relevant authorities who can take actions. "A video analytics solution can effectively monitor people or vehicles loitering in a specific area around the ATM. The solutions now also have the intelligence to detect people running through a scene, which can be a sign of suspicious behavior following an incident," said Daniel Wan, Channel Marketing Manager for UK & IRE at Honeywell Security Group. By linking surveillance video with transaction data, stealing money from ATMs can be investigated with more ease and facility. Just enter the account number from which the money was stolen, and the system will return images of all ATM withdrawals associated with that account number over a certain period. This will enable fraud investigators to easily spot withdrawals by someone not associated with that account. If facial recognition is included in the solution, the system would immediately pull all images of the suspect visiting the branch over a period, say a month, instead of having the investigator examine piles upon piles of videos. "Supposed there are 36 cameras at a branch, times one month, that's about 26,000 hours of videos," said Masa Karahashi, Senior VP of Engineering at 3VR. "If I didn't have facial recognition, there's no way I could look for videos where a specific person comes up." And intelligent video solutions do not just end at the ATM vestibule. What's going on inside the bank can also be monitored and analyzed by VCA to guard against fraud. Typically, fraudsters cash bogus checks in amounts too small for banks to take further actions. The fraudster then goes to other banks and does the same thing. Again, incidents like these underscore the importance of VCA with facial recognition, which can capture the face of the suspect and call up all videos in which the suspect has appeared over a particular period of time. This will facilitate the investigation and prosecution procedures by law enforcement officials. What's more, video surveillance at banks not only clamps down on fraud, the mere presence of it serves as a visual deterrent that tells potential fraudsters "We're watching you." "For example, some banks use public view monitors that display the camera images to show customers they are being recorded," said Moran. "There is also signage advising customers of video surveillance." Besides security, video analytics also helps banks in another major way — driving business. Thanks to VCA, video solutions at banks can analyze the length of queues, the gender and age of ATM users, and other behavior exhibited by customers. These data can help banks reach out to more people and enhance the overall banking experience. It goes without saying that banks have a pretty good idea of who their customers are. But what about ATM users who are not customers? With ATMs so seamlessly connected to each other across the world, it's quite common that customers of a particular bank withdraw money from another bank's ATM. This represents a good opportunity for banks to reach out to potential customers through ads that appear on ATM screens, yet oftentimes these non-customer ATM users are left ignored and untargeted. "Without the age and gender information of the customers, they would be showing an advertisement randomly. When I use ATMs from another bank, I've seen ATM showing me an ad for reverse mortgage," said Karahashi. “I'm not even done paying for my primary mortgage, so I don't need a reverse mortgage. But if they know my approximate age and gender, then they could be showing a more relevant ad like 'would you like to refinance,' or that kind of advertisement." This is where analytics comes in. VCA-enabled solutions can determine ATM users' gender and possible age. Ads or messages that the system considers are suitable for them would then either pop up on the ATM screen or show up on their receipts to get their attention. Customer behavior can also be analyzed by VCA to help banks develop better sales or marketing strategies. "If there are promotional signs or offers on display in a particular branch, such as home equity loans advertisements, intelligent video can be used to observe whether customers are viewing and responding to these in-store promotions or walking right past them," said Matt Frowert, Director of Marketing, Financial Services, and Government at Tyco Integrated Security. "With this type of data, banks can re-position in-store advertising and monitor if these locations receive better response rates." Last but not least, the overall banking experience can improve with intelligent video solutions, which, for example, can determine when a line is too long. "Nothing puts off customers like a snaking queue up the middle of the store. Again, video analytics normally applied for security purposes can provide a bank manager with a way of tracking the buildup of queues and alerting the relevant staff accordingly in order to ensure customers are served in a timely fashion," Wan said. Intelligent video, with its advanced analytical capabilities, is the perfect fit for banks, which need these capabilities to pinpoint and track down criminals. On top of that, intelligent video solutions help banks reach out to more people and enhance the overall banking experience. The next time you see a promotional message popping up on the ATM machine that somehow fits you perfectly, chances are that's analytics at work.